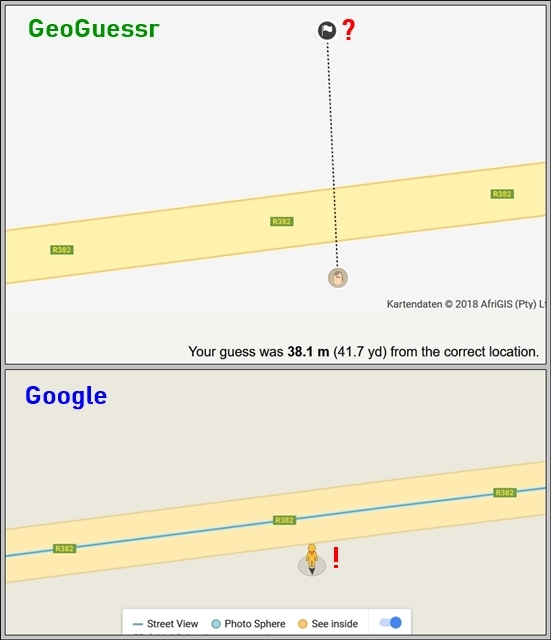 I'm trying to solve this mystery: How can the starting point be 30 m North OFF the road when at that exact location the car with the camera is definitely ON the road, and Google's street view manikin sits even slightly off to the South? I have this annoying problem once in every 10-15 games. Is there a way to know when I have to set my result off the road? Thank you!